You might have heard about vocational rehabilitation or the process which allows people with any psychological, developmental, functional, cognitive or physical impairments to secure or maintain employment. Healthcare professionals can are essential in helping these people overcome their disability. In Indiana, the Division of Disability and Rehabilitative Services (DDRS) provides such services to its people so that more and more people are encouraged to engage in a useful occupation. For those of you who are unaware of what it does and how it can help you. DDRS Services: What is it? The Division of Disability and Rehabilitative Services (DDRS) offers Blind Services, Deaf Services, Developmental Disability Services, and Quality Improvement Services among others, but we will be talking about their Vocational Rehabilitation programme in this article. Vocational Rehabilitation, also called VR, aims to provide premium individualized services which help support people who suffer from disabilities to earn for themselves. 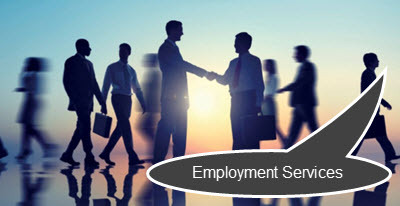 They help in both the preparation and the retainment of employment, and that is really helpful for anyone who thinks that their impairment makes them any less capable of doing a regular job. It’s useful for all those who are looking to lead a better normal life. Active participation in vocational rehabilitation programs helps people with disabilities become independent in all aspects of their lives as well as make them feel more inclusive with society – one of the primary aims of the program itself. DDRS recognizes the need for VR and hence provides a range of services in the area. VR Client Services: How can it help? If you have subscribed to the services provided by the Indiana Vocational Rehabilitation Services (VR), you will have a team dedicated to your employment goals. When your counselor declares that you are eligible for work, you can check out the various employment service providers who are associated with the VR. Select the ones you like in your area and then read up on the info given. You can contact them and learn more about the services they offer. Your VR counselor will be able to help you determine the best path to attain your goals. He can chalk out what you need to do as well as help you get started. You can contact as many providers as you want before choosing the one you are comfortable working with. VR counselors work closely with individuals with disabilities and help in the process of their development. They help the clients decide which job would be best suited to their objectives and needs. The Individualized Plan for Employment (IPE) has all the details regarding job goals, services, and preferred employment providers. All the services that are provided follow the IPE. The client is placed into an employment sector that matches his or her abilities, capacities and skills. Once a person is “rehabilitated,” the case is considered closed. The income should be considered appropriate and the client should satisfied with the VR to actually close the case. In some cases, post-employment care is also available. This ensures that if need be, the person is able to hold on to the new environment and develop, and not leave the things midway. The Bureau of Rehabilitation Services introduced some changes in the Vocational Rehabilitation (VR) employment service model in 2015. Both the VR and provider staff are being trained according to these guidelines for now. Additionally, the list of employment service providers across the world is increasing with each day. You would find it easier getting the job you like now since not only will you be provided with all the training necessary to lead a happier and healthier life, you would also have companies noticing you, and helping you start a new life. If you’re looking to know more about vocational rehabilitation, we are sure you would be having a good many questions. We would be taking about some of them here, along with their answers to make the job easier for you. 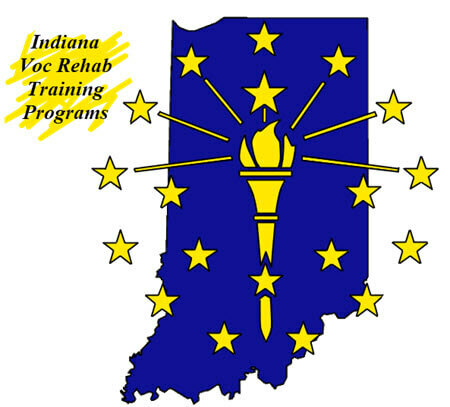 What is vocational rehabilitation in Indiana? 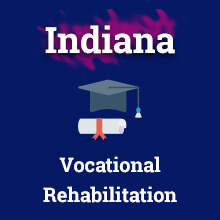 The Indiana Vocational Rehabilitation Services (or VR) helps eligible individuals who are hindered by certain disabilities to get employment and become financially secure. Am I eligible for VR? To be eligible for VR services, you should have a disability – intellectual, developmental, physical or emotional- and be looking for a job. You must be able to demonstrate that you could benefit from using the VR. Again, it isn’t for you if it’s a temporary impairment that can be easily cured by medication. Instead, it is for those who are actually in need of it. Since you will be working in close association with your VR counselor, you must consider yourself more of a partner than a client. You must decide on your vocational goals, select the services you like and make an effort to work hard. VR can help you find yourself as a renewed person who has overcome disabilities and impairments to conquer the world. If you are considering it, then waste no time!